My other travel blogs could make one feel that sight seeing is not the only activity I like to do during travel. Yet I would do just that endlessly in Mahabalipuram. There are three main attractions in Mahabalipuram namely Pancha Pandava Rathas, Shore temple and Arjuna Penance. Most people would include the first two and skip the last one. In reality, if you have not seen Arjuna Penance, you have seen nothing at all in Mahabalipuram. One should do a minor trek by climbing up the small hillock that houses numerous stone sculptures in Arjuna Penance. There is a small fort like structure that is left unfinished on this hillock (picture on the right). There are plenty of many other beautiful stone sculptures that are left unfinished. At the end of this little trek, we would reach a light house that was built about a century ago when India was still under British rule. One gets a beautiful view of the Bay of Bengal sea and the Mahabalipuram town from this light house. There are many good beach resorts fitting any budget in and around Mahabalipuram, If one does not mind the expenses, Radisson Blu is probably the best one could get in Mahabalipuram. It has a row of beach facing cottages and the maintenance of this property is top class as one would expect from a Radisson. We also have Ideal home resort and TTDC hotels located a little outside the town with a brilliant sea view. One could also try MGM resort which is a good quality option at a reasonable budget. MGM is so far away from Mahabalipuram that it is closer to Chennai than to Mahabalipuram. Taj Fisherman Cove is another fine property located on the ECR connecting Chennai and Mahabalipuram. This is a five star property set in a serene surrounding. Taj is also a bit far from Mahabalipuram town but the drive takes just around half an hour to reach Mahabalipuram. 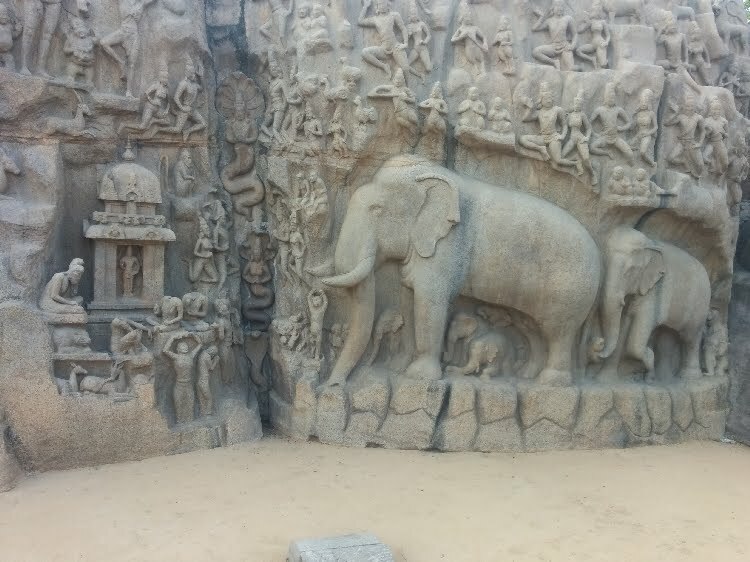 Mamallapuram was a coastal town believed to be an active base of Pallava Kings in the seventh century. For now, I will not talk much about history but would focus more on what this town can offer us in the twenty first century. Mahabalipuram is located close to Chennai that has a good air, rail and road connectivity. Mahabalipuram can be reached within an hour of leisurely drive from Chennai. Do not blame me if you get stuck in city traffic though. Good bus services are available from Koyambedu bus terminus in Chennai to Mahabalipuram. This website actually gets its name from East Coast Road (ECR), that connects Chennai and Pondicherry through Mahabalipuram. Mahabalipuram is a coastal town believed to be an active base of Pallava kings in the seventh century. 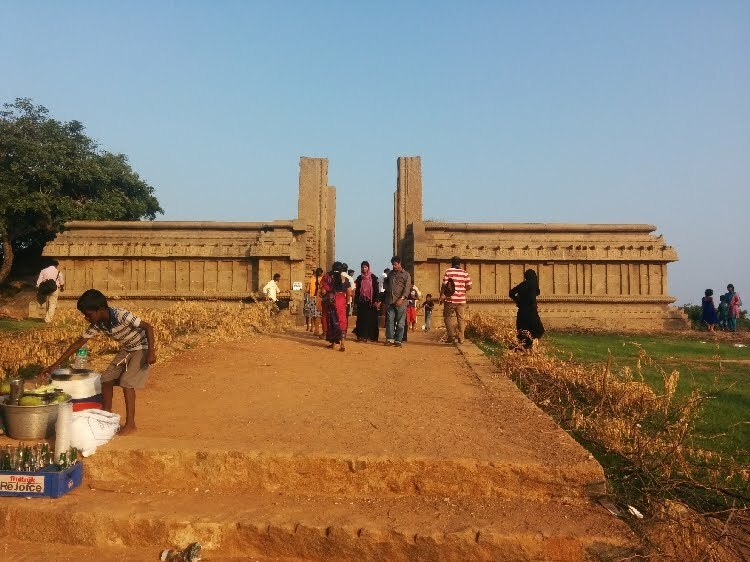 I am not a history enthusiast and so would limit this blog to the travel attractions of Mahabalipuram in the twenty first century. Mahabalipuram is located very close to Chennai that has a good air, road and rail connectivity. Once we reach Chennai, Mahabalipuram is just an hour drive away. The road connecting Chennai and Mahabalipuram is known as the East Coast Road. It is more popularly known by its abbreviation ECR. The name of our website is inspired by this picturesque road.